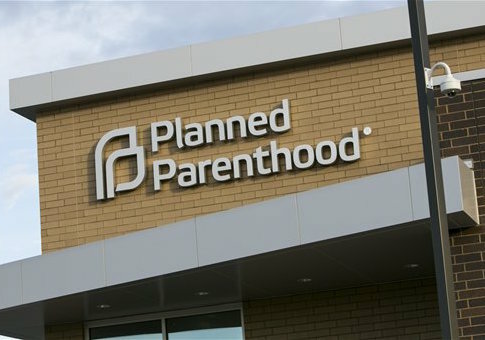 A former Planned Parenthood staffer has been placed on a committee in charge of investigating accusations that the organization sells baby parts following the release of undercover videos from the Center for Medical Progress. The Select Panel to Investigate Handling of Infant Lives, created following the release of the videos, seeks to gather information about the medical practices of abortion service providers and the business practice of procurement organizations who sell fetal tissue. The panel falls under the House Energy and Commerce Committee and consists of eight Republicans and six Democrats. Rep. Jan Schakowsky (D., Ill.), the ranking Democrat on the panel, appointed Vanessa Cramer to the committee last month. Cramer, however, has previous ties to the organization in which she will be investigating. A former public policy coordinator at Planned Parenthood Federation of America has returned to the Hill to help investigate Planned Parenthood over accusations it sold baby parts. Vanessa Cramer in February joined Rep. Jan Schakowsky (D-Ill.) on the House Energy and Commerce Committee's Select Panel to Investigate Handling of Infant Lives. Congress created the panel after a series of videos allegedly showed Planned Parenthood trying to sell baby parts to an investigator posing as an interested buyer. Democrats have decried the panel as a waste of time, while Republicans have pushed it to defund Planned Parenthood. The panel met for the first time on Wednesday and fought over subpoenas to researchers, USA Today reports. Schakowsky additionally called the investigation a "partisan and dangerous witch hunt" and said the panel should have been disbanded. Rep. Marsha Blackburn (R., Tenn.), the chairwoman of the panel, said the undercover videos justify an investigation. "The weak, the vulnerable, those with no voice—harvested and sold—there is something going on, something that deserves investigating and that demands our best moral and ethical thinking," Blackburn said. This entry was posted in Issues and tagged Jan Schakowsky, Marsha Blackburn, Planned Parenthood. Bookmark the permalink.